I have a development server, a staging server for acceptance testing and a production server, so I have a different configuration for each setup. For example my development server connects to a development database, development web services, etc., while my production server connects to my production database and a production web services. This is where Config Transforms come handy. You can have a different configuration for all of your setups. But bear in mind that Config Transforms only work when deploying / publishing your project. So your Web.config (default config) will always be used if you haven’t deployed / published your project. 1. 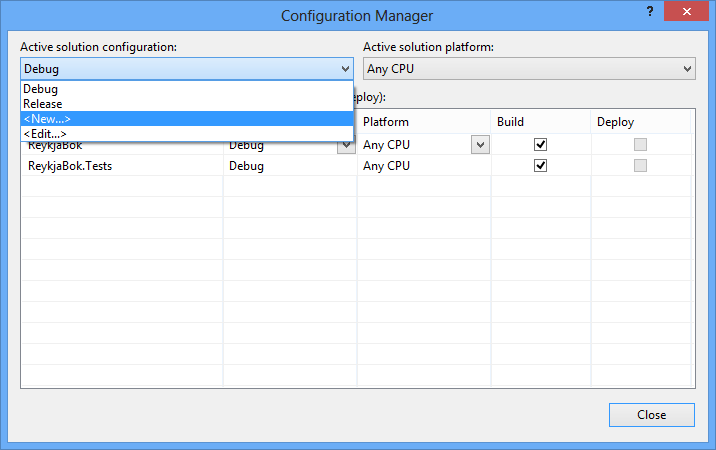 So let’s begin by going to the Configuration Manager, where you’ll create a new configuration. Default we have two configurations; Debug and Release. Debug is used for our development server and Release is used for our production server. Now we need a configuration setup for our staging server. We will use a copy of Release to start off with, but later on we will change it. 2. So go ahead and make a new configuration, copying Release. Name it Staging. 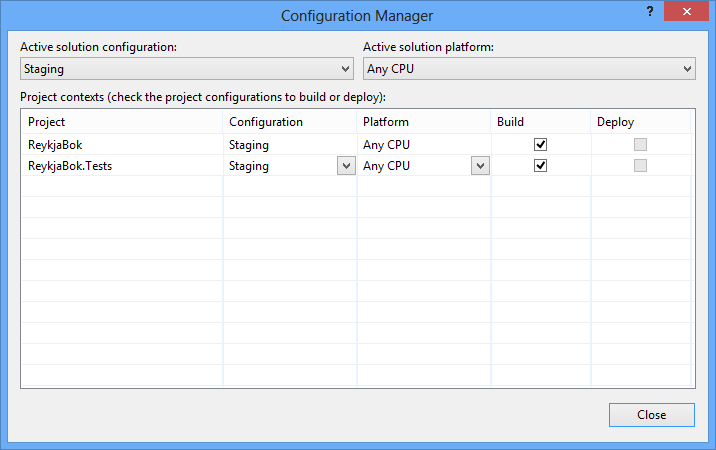 But our new configuration, Staging is not there! This is because we have to tell Visual Studio to update our Config Transforms. 3. 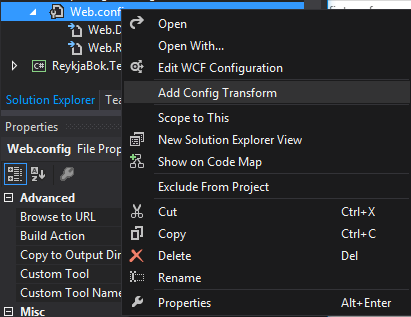 So now right click on Web.config and click on Add Config Transform. You’ll see Web.Staging.config added to the list. This is great and all, but the configuration is still not doing anything. Let’s change that. Now every time you deploy / publish your project with Staging configuration, it will create the WebService AppSetting with the value of your staging web service URL. Notice the xdt:Transform="Replace". Config Transform has a bunch of ‘commands’ you can use in your config files, Replace is just one of them, but it is the one I use the most. You can read about all of them over here. 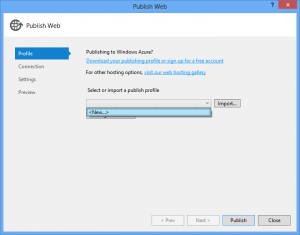 So every time I deploy my project to my production server, it will use the production web service URL. Now in my code I can always use ConfigurationManager.AppSettings["WebService"] (in System.Configuration namespace) and be certain that my project will use the right web service, depending on which configuration I’m using. 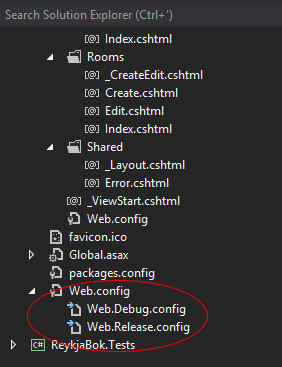 Regarding our Connection String, I put a default connection string into Web.config and then add xdt:Transform="Replace" to the connectionStrings node in Web.Release.config and Web.Staging.config. Then I add a new key containing my new connection string. Easy as the example above. I’m not gonna go into great detail about how to deploy / publish your project. 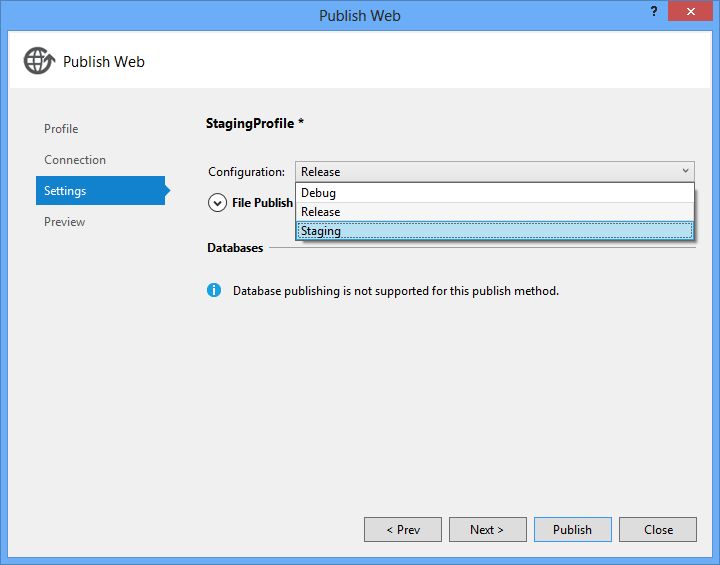 I will maybe write another article for that later on, but I want to show you how you can create a new Staging publish profile using your Staging Config Transform we just created. 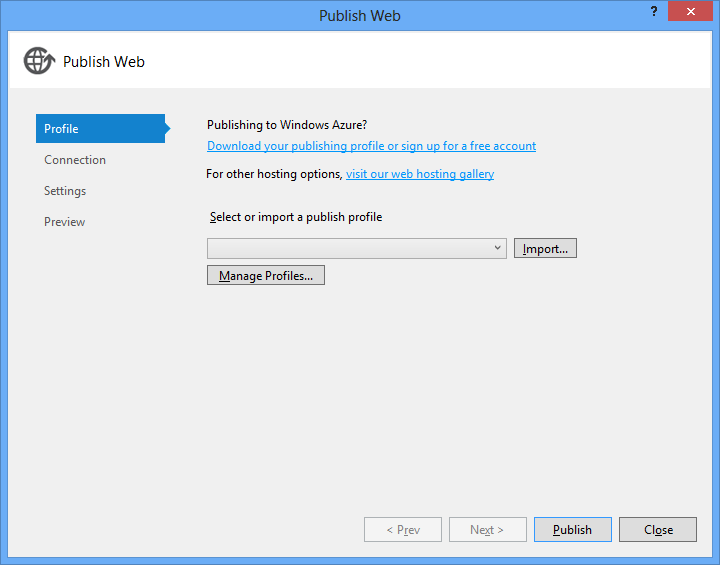 There you can create a new publishing profiles. 7. Name your profile something like StagingProfile and click OK. I don’t know which publish method you prefer, but I almost always use File System. It’s easy, it’s fast and it has no config overhead like Web Deploy. 8. After choosing your publish method, click Next >. 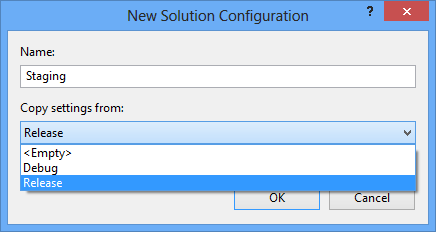 There you will choose your Config Transform configuration. This is where we’ll choose Staging. Finally, click Publish. 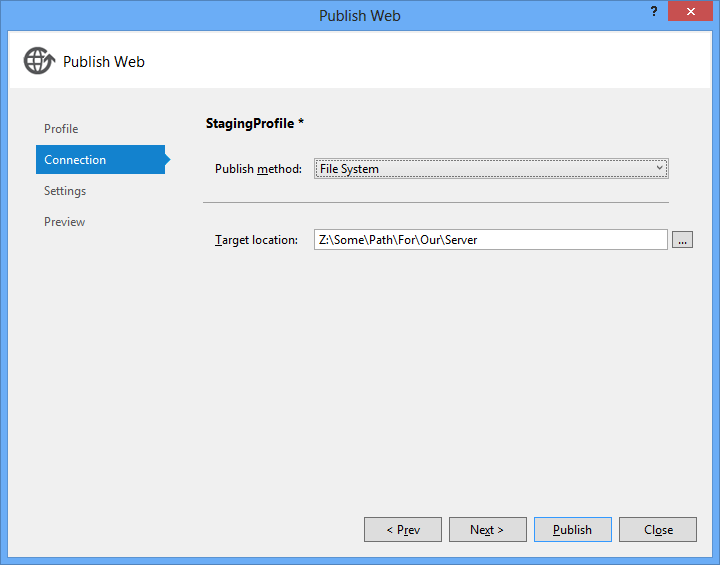 Now your project will be published using your default Web.config with the replacement of the WebService appSetting or connectionString we put in Web.Staging.config.